Stay in a North Carolina Mountain Inn, Bed and Breakfast, or Lodge and enjoy all the comforts of home without all the work. A quiet mountaintop inn is just what the doctor ordered to de-stress and renew your spirit! NC lodging offers everything from secluded mountain settings to downtown convenience with 100s of choices throughout all the Western Carolina Mountain areas. 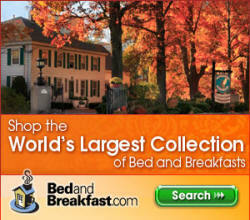 Many of our Bed and Breakfasts and Inns offer Vacation Packages, Specials or Discounts throughout the year. The Rand McNally Store features maps and navigational accessories for all your travel needs. Shop Now! Buy an up-to-date North Carolina Map from one of the most reliable Map Makers in the US - Rand McNalley. Save 20% on Thomas Guides from Rand McNally. Pet Friendly and FREE PET SITTING. Gift Store, Quaint and Homey! Fridge, microwave, coffee pot, Gas Grills, Picnic Tables, WIFI, Motorcycle Accessible. Call for group discounts, Ski Packages available. Open year around. TV, DVD, AM/FM CD, King beds and private baths. Full hot breakfast and complementary drinks. Located on one acre of land in a charming small town only 10 minutes to Asheville. Discount Biltmore tickets. Check for specials. Spacious King or Queen rooms or comfy suites that offer a microwaves and mini-fridge. Mountain view rooms available! Enjoy a complimentary hot breakfast or grab one to go. Pool, fitness, meeting and laundry facilities. Activity Packages available. Discounts for AAA, AARP, Military. Beautifully restored mansion, rooms and suites with fireplaces, fridge, full GOURMET breakfast WIRELESS, 24hr guest pantry, robes - walk to downtown Asheville from a prime location in the historic Monford district. This Asheville inn gets rave reviews from ALL its guests. This Smoky Mountain Bed and Breakfast Lodge is rustic elegance at its best. Massive stone fireplace, handcrafted twig beds, gourmet breakfast. 800+ft river frontage, balconies, porches, patio. FREE WIFI. Large goldfish pond and waterfall on property. Specials offered for WCU parents. This is everything a mountain lodge should be! Peaceful brookside location minutes to Asheville and Waynesville. Common areas with fireplace, library, piano, patio, grill and firepit, gardens. Wedding facilities available. 4 unique rooms, deck access, WIFI. Full breakfast. Old fashioned charm meets modern comfort at this Smoky Mountains Inn. Themed guestrooms, private balconies with mountain vistas, WIFI, covered porch. Full breakfast, snacks, drinks. Walk to waterfalls, fishing and Deep Creek. Arts and Crafts style Bed and Breakfast with 7 King or Queen guest rooms, fireplaces, jetted tubs, WIFI. Full gourmet breakfast plus afternoon refreshments. Specials and a variety of packages are available. Located in Asheville's Historic Monford District. A beautifully restored 1885 inn on 5 acres of ponds, gardens and mountain beauty. 10 suites and guest rooms, fireplaces, some with jetted tubs, WIFI, fridge, private entrances. Guest computer, wrap-around veranda, library, wedding facilities. Taylor House Inn 4584 Hwy 194 South, Valle Crucis NC 800-963-5581 . Welcome to Your Private Mountain Retreat! Standard rooms as well as king and queen studios and suites with microwave and mini-fridge. 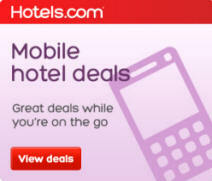 All rooms have free wireless Internet access, coffeemaker, hairdryer, iron and ironing board. Complimentary hot breakfast and beverages; indoor pool; fitness room; Business Center and meeting facilities; mountain views!